Just as I mentioned previously of this past Veteran’s Day being especially memorable, Thanksgiving on FOB Salerno will reserve a special spot in my biological hard drive as well. I’ll let the attached photos tell most of this story as my time to post is limited this evening. 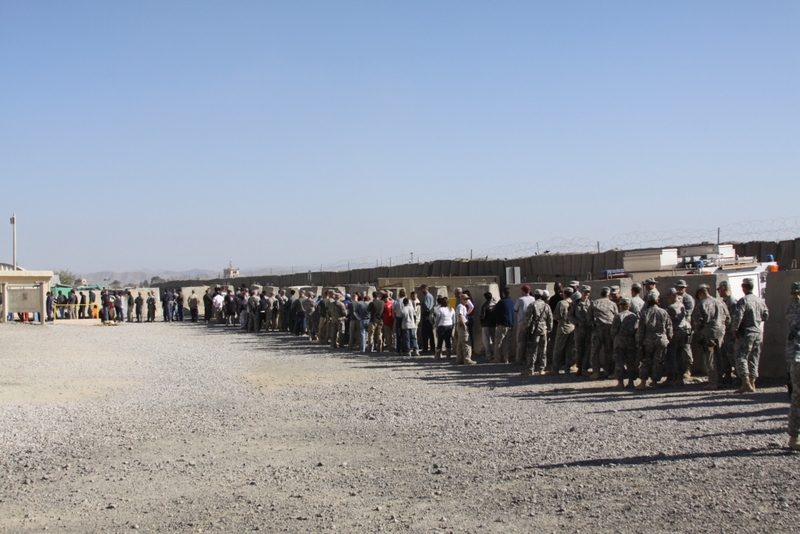 Next on the bustling holiday schedule was Thanksgiving mass here at the FOB Chapel. Father Hannon gave a beautiful homily addressing the need to give thanks even during times of stress and struggle, just as the pilgrims and even Abraham Lincoln did with the creation of the Thanksgiving Holiday right in the middle of the Civil War. 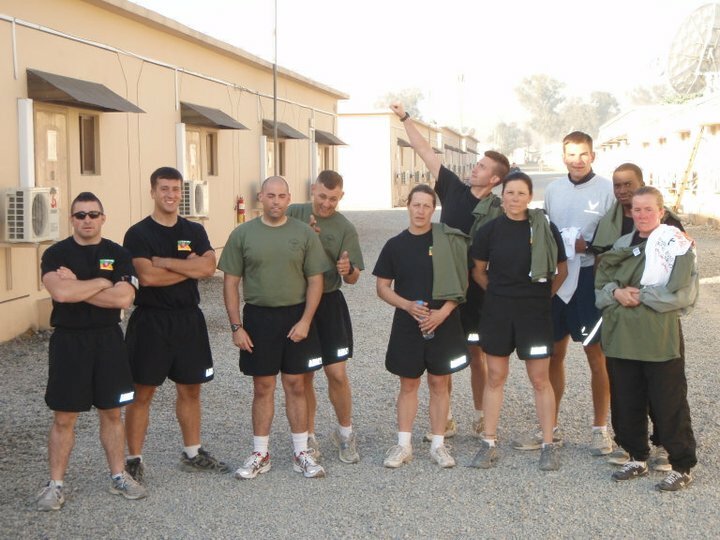 The choir sounded especially heavenly today with the new addition of a pianist in Major Larres, an occupational therapist who was just assigned here to FOB Salerno. 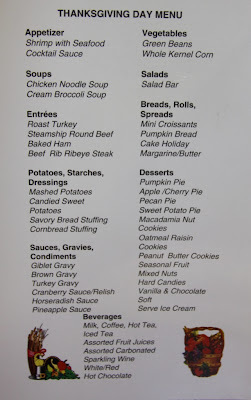 The official Thanksgiving Brunch was served from 11AM-3PM and to say it was a feast would be an understatement. 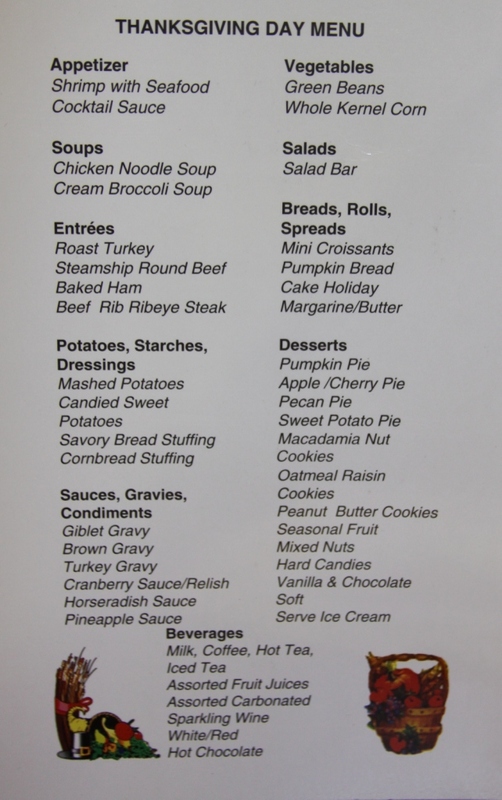 As you’ll note in the attached menu, the catering crew didn’t miss a beat when designing the meal fit for a king. There was a small fee attached to this meal though: a wait time of nearly 45 minutes! 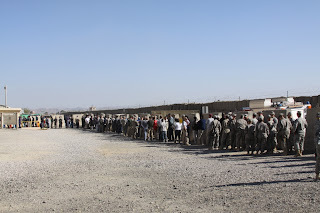 The meal was well worth the wait though; especially tasty were the marshmallow covered sweet potatoes…who knew they had marshmallows in Afghanistan? 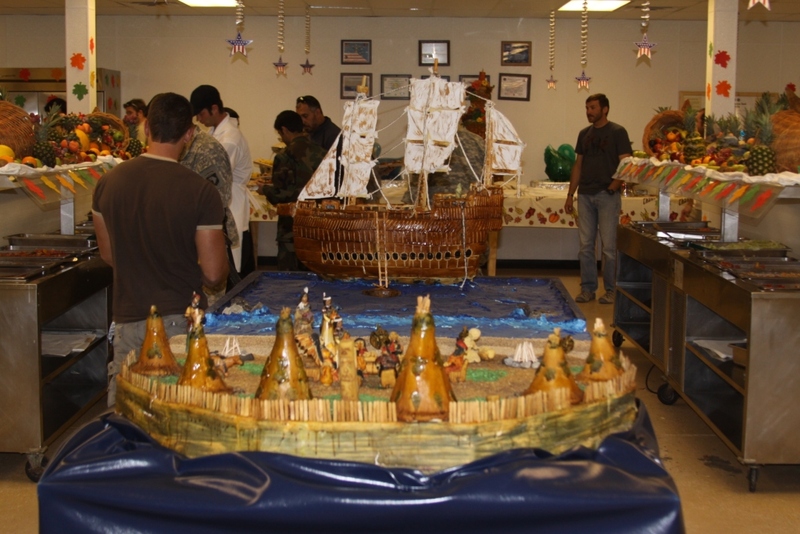 There were model sculptures of the Mayflower and actual fruit cornucopia displays as well; quite a presentation I must say. Instead of napping I decided to finish a few things up in the office during the afternoon. Dr. John Groninger, a Foresty Professor from Southern Illinois University, is currently on FOB Salerno and wanted to discuss upcoming projects and the possibility of him joining our team on a mission outside the FOB. John is currently conducting research in the region as a part of a USAID-funded Afghanistan Water Agriculture and Technology Transfer (AWATT) Project. We discussed some of our current operations and it appears John will be able to join us on our mission to Mashi Kalay where he’ll look to utilize his increment borer to sample tree trunks and also hope to meet with the agricultural extension agent assigned to the area. I can’t say I was anywhere near hungry by the time dinner rolled around, but what the heck? May as well indulge a bit! John is traveling alone during this portion of his research so I invited him to dinner. (We had planned on meeting for dinner at 6:30PM in an effort to watch the Macy’s Parade, but apparently it was aired a bit later as I saw it later in the evening.) 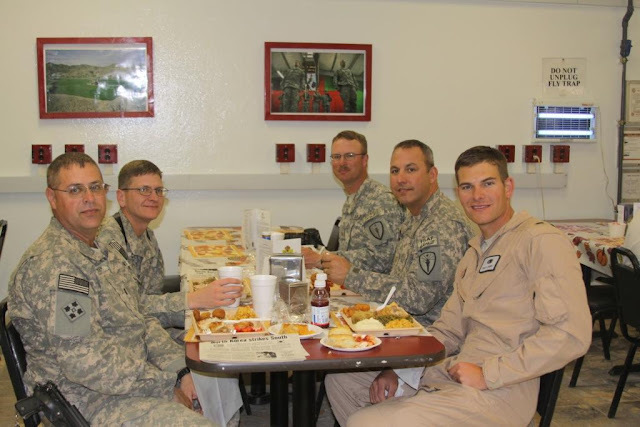 The majority of our dinner discussion consisted of all we had to be thankful for and the many different experiences a trip such as this Afghan Adventure can bring. Most important to both of us that list of things to be thankful for was family. John has young children back in Illinois and he mentioned how he had hoped to be home in time to watch a musical recital for one of his daughters in early December. Following dinner, I made a few phone calls back to family and friends across the states before finally signing on to Skype for what was another memorable moment. The marvels of modern technology allowed me to Skype right into Thanksgiving Brunch at the Lomont household. There were 27 present physically and a total of 28 in the virtual sense with me joining in from 7,500 miles away. The 9.5 hour time difference made things interesting as they were just preparing to eat at 1PM EST which meant it was 10:30PM here on FOB Salerno. I think it probably goes without saying, but is definitely worth repeating and for that matter shouting to the rooftops: A sincere thank you to all my great family and friends who have been nothing but supportive throughout this entire adventure. Without you all there is no way I could continue this mission to help the people of Afghanistan. Let’s never forget how blessed we are to be citizens of the greatest country the world has ever known, the United States of America. Must have been a bountiful harvest!